This Saturday the 7th of April, the Tuggeranong Vikings will play their first round of the 2018 John I Dent Cup against Royals. This Saturday will also be our annual Sponsor’s Day, which recognizes the invaluable contribution all of our sponsors and partners make to the success of the club. The Vikings have had a strong Preseason, which saw a select group of players travel to Singapore and win two games against Singapore Select XV’s. Upon their return, some impressive performances against local opposition Gungahlin and Wests have the Vikings primed for a successful season in all grades. Royals are the team to beat in 2018 – after going undefeated in 2017 in 1st Grade, the old foe will be looking to set the benchmark early against the Vikings. 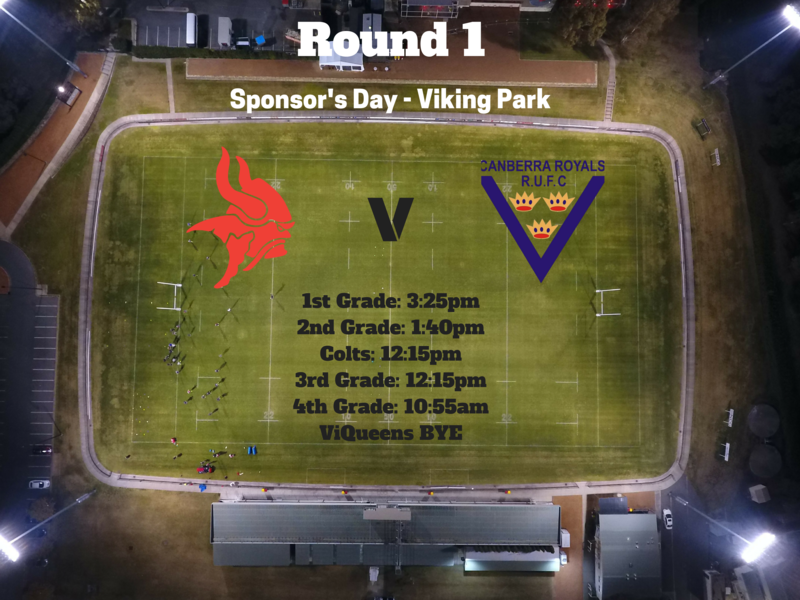 The Vikings and Royals 1st Grade sides will also play for the Allan ‘Wal’ Scollen Cup, an annual tradition between the two sides in their first encounter of the year. Wal was a close friend of both Vikings and Royals – it is a great reflection on Wal and his family that both clubs honor his memory every year. Royals Rugby have created a video in honor of the Wal Scollen Cup – you can view the video by clicking here.